I honestly don't know, but both temple areas are now significantly thinner than they were 12 months after my transplant. I'm finding that after each haircut these thinner areas become more apparent. It would be interesting to know if anyone else has had a similar experience with this Dr.
Hi Everyone, I'm a regular lurker on the forum and last posted way back in 2016 after my procedure with Dr Resul Yaman. First 12 months everything seemed to be going well, but since then things have steadily gone downhill and I'm contemplating a 2nd procedure if my donor area is still sufficient. I may have lost some of my original hair during this period, but I've also certainly lost transplanted hair around my hairline and mid-scalp. I personally can't recommend Dr Yaman and wish I had carried out more detailed research prior to making what I thought would be a life changing decision. To be honest I had no issues regarding communication with Dr Yaman's clinic. Another post in this section has provided Whatsapp details for my contact throughout the process Firket. I hope this helps. Sorry everyone I've just been extremely busy moving house. I'm now just over 2 months post-op and I'm delighted with the progress so far. I'll try to post some pics over the next few days. Thanks for the replies to my initial post. 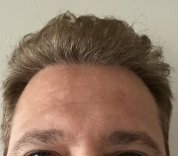 I had 3600 grafts in my frontal/crown area. I found the clinic to be very professional from start to finish and all the staff were extremely friendly. My procedure lasted approximately 9.5 hours with a short break mid afternoon. On that particular day there was one other patient in the surgery. I felt that they took great pride in the work carried out and this was only completed when the surgeon and staff were absolutely 100% happy with what they had done. I'm now nearly two weeks post-op after visiting the clinic of Dr Resul Yaman in Istanbul. This is my first post on the forum and I have decided not to post pictures at this stage. However I wanted to thank the Dr Yaman and all his colleagues for an excellent professional experience and would thoroughly recommended the clinic to anyone considering surgery in Turkey. Obviously it's too early to anticipate the final result, but I've been really pleased with the whole process thus far. Please feel free to contact me via PM if you would like any further details of my surgery.